The friend was quick to challenge me. This schedule, he noted, missed a lot. What about the hundreds of pages of weekly reading for my art history seminar? What about writing and grading problem sets, and prepping and running recitation sections, and student e-mail, and all the rest of the random logistical effluvia emanating from the course I am TA’ing? Or, for that matter, what about all the non-MIT projects I keep brewing? My blog? My freelance articles? It didn’t occur to me to mention this work. These tasks — numerous as they may be — rarely make an appearance in my scheduling decisions. Why? Because I use a simple but devastatingly effective student trick: the autopilot schedule. Get behind on my regular work, letting it pile up and instigate last-minute scrambles. Reading for my art history seminar: Friday and Monday. If I don’t end up finishing, then I also use Wednesday before class. Develop new problem set problems: Thursday morning before class. Build a prep sheet for problem set problems: Thursday morning right after the problems are chosen. Work with graders to discuss problems, setup rubrics, and review procedure: Two hour meeting, in conference room, Thursday afternoon. Reassemble problem sets, print sample solutions, print graders notes: Tuesday morning before class. Write draft of Monday and Wednesday blog posts: Sunday morning. Edit and post blog articles: First thing Monday, Wednesday, and Friday. Reply to student e-mail for class: Right after blog posts on Monday, Wednesday, and Friday, and first thing on Tuesday and Thursdays. Also at end of work day. Work on non-MIT writing: Friday, Sunday, “early-evenings” during the week. I call this an autopilot schedule. It took some tinkering, as it does every semester, to get it to a place that works. But now that it has been fine tuned, I no longer have to expend any scheduling energy to make sure I accomplish all of these regular tasks. They run, in effect, on autopilot — getting done when scheduled. Here’s why I love having an autopilot schedule: my scheduling energy can be focused 100% on the large, non-regular tasks in my life. This is why I was able to tell my friend that my schedule for the next two months consists of alternating between my research paper and my thesis. All of that other crap he mentioned is already taken care of. I’m only interested in what happens in the time that remains. Your regular work gets done consistently and with a minimum of stress. The clarity gained by having this regular work “taken care of” allows you to focus on the important big projects in your student life. Once you get to the point where your regular work is getting done with a minimum of thinking, you’ve hit that low-stress sweet spot where you can start turning your attention to the bigger things. Like that terrible massive art history research paper that I have no idea how to start. Still working on a way to automate that too. Did you mean for that to say regular work? Bing! The light went on for me. I’ve been trying to implement your daily task-list routine that you outlined in your book, and I was getting bogged down each day trying to figure out what to do that would be efficient, not be a black hole of endless work, and still let me feel as though I’d accomplished something valuable. I wasn’t breaking or “slicing and dicing” as you put it, the tasks into do-able measurable chunks. Would you believe I actually mapped out your schedule visually on a week calendar to really ‘see’ how you spaced the tasks out? 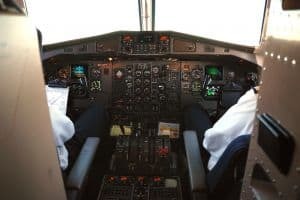 It really helped me to call it ‘autopilot’ so that it didn’t feel like a nagging list of have-tos that I wanted to avoid. ‘Autopilot’ seems to insinuate (to me anyway) that procrastination isn’t an option, since it’s bypassed my ‘do I feel like it’ filter. Thanks for writing this! I’ve always wanted to have an autopilot schedule, but too many “new” tasks would always come up. I always did most of my daily and regular work in between classes, leaving the long, important projects for night. I was always able to concentrate better during the evenings. It was assigned readings I always had trouble with…got too easily sidetracked. As far as your schedule, it was interesting to see when you made time for writing your blog posts. Some days I feel like writing and I’ll hammer out 3-4 post, while other days I won’t. So, writing a blog post is not always something that can be auto-piloted, in my opinion. Excellent. I shared your experience. Trying to keep all of my regular student work on my daily task list made it all seem too overwhelming. Once it went on autopilot I could once again experiencing seeing just one or two things on that piece of scrap paper: a wonderful feeling. It’s debatable about the blog posts. There would be too many days in which I would want to write for hours, and I think my MIT work would suffer from it. So I’m very regular. Whether or not I want to write the post, it goes up. I believe that your blog can be on a schedule. It may be difficult but it is a key to a good blog. There is a post from Darren Rowse from ProBlogger.net that touches on this topic. I will have to find it. It also depends if you blog professionally or for personal reasons. that was quality, I just found your link via scott young blog and I am loving it. Aargh! I had a “fixed” schedule for completing recurring tasks until I started a “real job” in Feb. Now I have to plot and plan each week on an individual basis. I need to get back to the autopilot. Thanks for the reminder! A post for another day is the amount of mechanization I’ve applied to my TA responsibilities to minimize any wasted or unnecessary time spent handling papers. Ooh, as a fellow TA I’d love to see that post! I’d love to read that! Maybe it’s already posted but I just didn’t find it? Alas, it remains a post for another day. At a high-level, however, I can you tell that the two things that made the biggest difference: (a) I revamped the problem set system — from the required format, to how they are handed in, to how the graders recorded their grades — to minimize the number of times I had to touch a piece of paper; (b) I took my repeated responsibilities — preparing problem set problems, meeting with graders, etc — and moved them all to set times on set days in set places. Combined this shifted the responsibility from something that was always “on” (as happens with many TAs) and into something that occurred in set, minimized times. Wow. I have been trying to figure out how to avoid procrastination for the past 2 years, because I know I am a smart student, it’s just, originally I have a lot of work and when I put it aside, it only builds up. This post is exactly what I have been looking for. This post is brilliant. I started doing this a coupla weeks before reading this post. I think I got the idea from 7 Habits of Highly Effective People where he recommends organizing to the rhythm of the week rather than the day. Pavlina suggested the same thing. It’s been a bit harder to implement it, but I’ve made progress. Thank you! and also 1 more question: If a student can only read one post in your blog, which post would you suggest for him/her to read? You can have autopilot blocks for any type of work — be it self initiated or imposed. Whether or not you actually do it is a different issue. If a student can only read one post in your blog, which post would you suggest for him/her to read? I’m having a big problem at the moment working out what regular work I’m going to get. Every time I think I’m sorted I find out I have more! How do you deal with very irregular assignments? I’m also very forgetful. I jot things down and forget to check my schedule all the time. so being automated will help cure that too. Enjoying your blog and slowly making my way through your archived posts. As a phd student myself, I’m wondering when using an auto-pilot system, what do you do when things like doctor’s appointments, supervisions with your supervisor, or unexpected meetings, demand your slot in the auto-pilot allotment? I find that I often have one-off commitments that demand a fixed time-slot, but don’t have any consistency. These keep throwing off my ability to embrace the auto-pilot. Perhaps you’ve written a post on this already, and I’ll make my way to it eventually, but I’d be v. interested to hear your thoughts. Interesting that you say that Natalie.I have the same issues.Hoping there will be an answer to it. How do you reconcile this autopilot technique with what you suggest in some of your books about being task-oriented and planning how long it will take to do readings, assignments, etc.? You gave an example of a student who is thinking about his day and pencils in the various tasks he has to do like planning an essay, doing readings, and laundry. Thanks! Cal, I’m assuming you combine this with your fixed schedule to make a “Fixed Autopilot Schedule”? Is this accurate? I would love to hear anybody’s thoughts. Thanks!